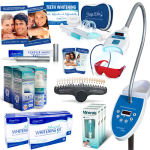 Beaming White is committed to helping you succeed in your teeth whitening business. 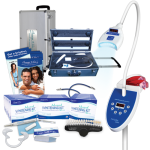 As part of our commitment, we have created the best packages in the teeth whitening industry for Teeth Whitening Systems and Mobile Teeth Whitening Systems. We can customize any teeth whitening package to your specifications. We also offer specials on many of our teeth whitening products when possible. If you are a registered business customer, our sales and support team will notify you when we have seasonal discounts and specials on teeth whitening start-up packages, products, and supplies.